The US should rethink subsidies for American farmers and relax stringent market rules, among other measures, to encourage trade in agricultural commodities from sub-Saharan Africa (SSA), says an advocacy group. "For [President Barack] Obama’s Aid for Trade concept to help the poorest people to plug into market opportunities created by AGOA [Africa Growth and Opportunity Act] - the US must remove the hefty subsidies... [and] tariffs on all products exported from African countries," said Brian Kagoro, Pan-African policy director for ActionAid. AGOA allows SSA countries to export more than 6,400 products to the US without paying duty. It has, however, not been fully exploited, observers said before a key AGOA meeting that began in Nairobi on 4 August. The 8th annual US-SSA Trade and Economic Cooperation Forum under AGOA is being attended by US and African business leaders. US Secretary of State Hillary Clinton, at the meeting on 5 August, called for good governance, saying weak leadership and corruption in some African countries were a deterrent to American investment. Clinton will also visit South Africa, the Democratic Republic of Congo, Angola, Nigeria and Liberia. Kagoro said relaxing the rules of origin under AGOA and the revival of the textile sector in countries such as Kenya would create employment and business opportunities for ordinary people. According to ActionAid, Kenya’s sales of textiles and clothing to the US market have declined since 2003, falling more than 20 percent by the end of 2008. The Alliance for a Green Revolution in Africa (AGRA) recommends that the region should develop a unified grading system for agricultural products that meets rigorous standards for trade. "African governments should utilize the channels of negotiation available to get conditions that are reasonable and that can be met by farmers," AGRA president, Namanga Ngongi, told IRIN on 5 August. "African entrepreneurs should go to the American market and explore what is needed and create demand among consumers... AGOA provides a wonderful opportunity and it is up to those to whom the opportunity has been provided to find out how to take advantage of the market." On 4 August, US Secretary of Agriculture Tom Vilsack said some of the rules governing entry into the US market were linked to the safety and security of food. "Just like local farmers told me they are reluctant to try out new seeds because they have been given poor seeds in the past... if a product is exported to the US and it is not safe... it becomes difficult to convince the buyers," he told IRIN in Nairobi. "If we are being asked to reduce our assistance to farmers ... this is something that is easily calculable. You can say they used to give x now they give y... but opening up markets is a much more difficult thing to quantify." Ngongi also highlighted the importance of adding value to exports: "African agriculture is largely just exporting raw commodities to America. We need to process and package the products in Africa, which will in turn create a lot of jobs and improve farmers’ incomes. "There is a need for initial value addition to agricultural products, such as making clothes from cotton and processing palm oil, millet and other local products... smallholder farmers need to come together in associations and cooperatives to bulk produce." AGOA expires in 2015 and some African countries would like it extended to encourage potential investors. According to Ngongi, most of the trade under AGOA is in crude oil products, yet most SSA economies are agriculture-based. Agriculture represents one-third of the gross national product of SSA countries, and employs two-thirds of its workers - mostly as smallholder farmers cultivating a hectare or less of land. 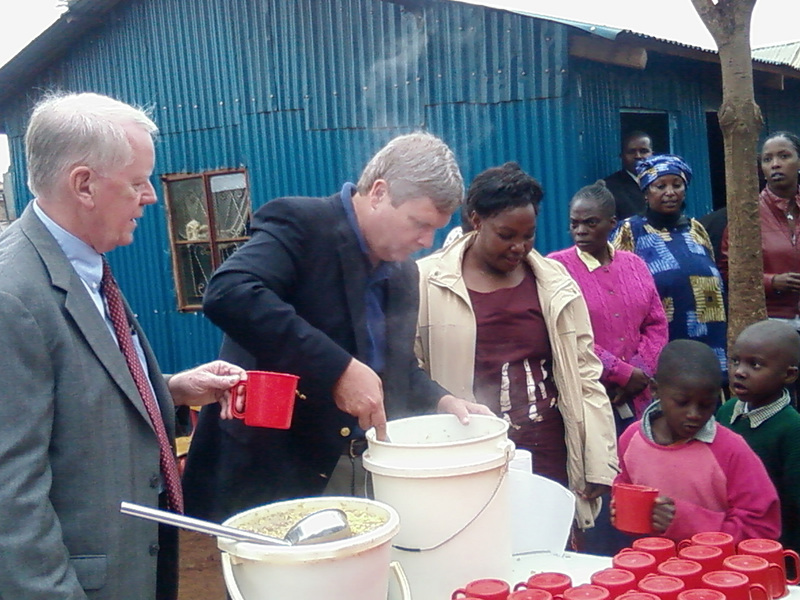 Vilsack said the US had committed US$1 billion towards Africa, most of which would go towards food security. "President Obama is very serious about transformational change, which is about a more comprehensive approach... more than just food assistance but creating sustainable practices such as understanding the need to preserve natural resources," he told IRIN. "Our efforts cannot be just to provide food. Food assistance needs to be placed within a broader context... It is not enough to just make food available, we have to help people grow their own food."